Our schedule is crazy, and I know yours is, too. 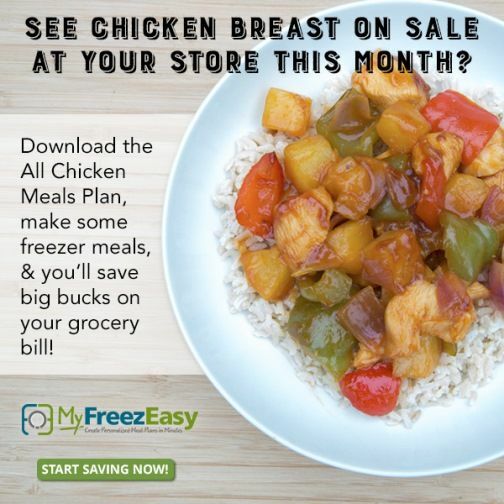 For me, one way that I make sure I don’t spend a million dollars on fast food dinners is by preparing ahead of time- so the premium annual membership for MyFreezEasy.com Freezer Meal Plan Membership was definitely something that I was excited to use! And I was able to make several tasty freezer meals all in one night! I liked that I was able to change the number of servings (with my hubby’s meal plan he needs 8 ounces of protein with dinner, so I picked a larger number of servings than a family of 4 or 5 would normally need). Once you download your meal plan, you get the EASIEST set of directions ever. 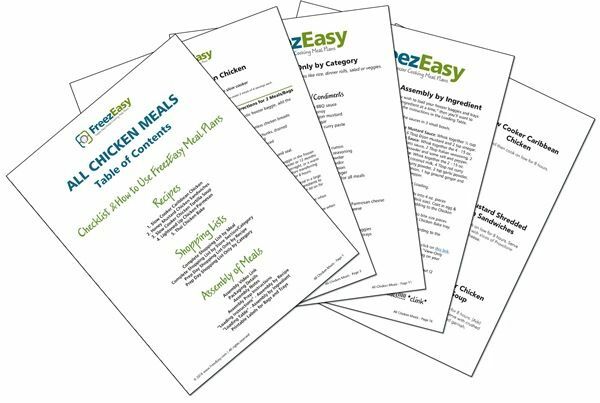 The recipes, shopping list, and how to assemble your meals in the most efficient way are printed out. You can opt to assemble by recipe (so you’ll make one dish from start to finish) or by ingredient (so you’ll chop all the bell peppers you need for every recipe you’ve selected, brown all the beef you need for every recipe you’ve selected, etc.) I opted to prepare by ingredient, and I thought that it worked really well! I had my kids helping me in the kitchen this day, and I think that it would have gotten really confusing if each of the 4 of us had been trying to finish a recipe from start to finish while getting in each other’s way, whereas assigning each kid an ingredient to deal with helped us to work together as a team. 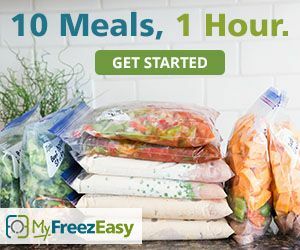 Your FreezEasy kit also has labels for your finished recipes so that when you put them in the freezer, you’ll know what they are! Typically, I have a full sized freezer in my garage, but after 12 years in my house (and it was a “hand me down” from my uncle!) it kicked the bucket shortly after I made all these new freezer meals, so I called my mom, who, thankfully, has an extra freezer in her basement, and I was able to save my freezer meals AND my homemade jelly.